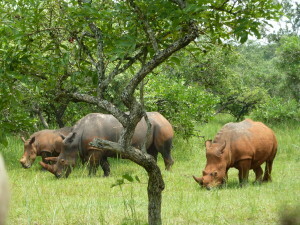 5 Days Queen Elizabeth Wildlife Safari. You will be picked from the Airport or your doorstep and depart to Queen Elizabeth National Park, with various stop-overs at the equator, Igongo Cultural Center & Museum hence arriving in the park the late evening. After your early morning breakfast, your wildlife safari will start at 6:30am with a sunrise game drive on the northerly parts of the park along the Kasenyi track. 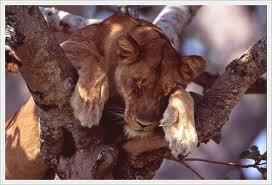 It is at this time that the Big Cats are active on their daily hunts. We will drive around the crater Lakes in search of Leopards, Lions, Hyenas, Uganda Kobs and other wildlife. Later, return for breakfast and relax by the pool. In the afternoon, take a boat cruise on the Kazinga for solitary Buffalo, Hippo and other animals at the edge of the channel as they cool off. European migrant birds like the terns and gulls congregate here in large flocks. 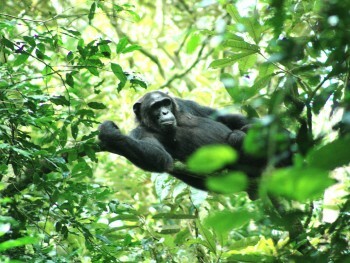 After breakfast, head to Kyambura Gorge for Chimpanzee Tracking. The gorge is part of the giant western arm of the East African Rift Valley, the place where you will meet your chimpanzee group. 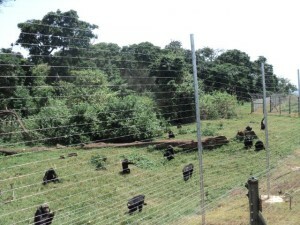 The chimpanzees move daily, building new nests each day. The chimpanzees are habituated, meaning that they are used to human beings. You will spot other wildlife and birds as you move along on your three hour time of tracking. Later in the afternoon, you will drive to the crater region where you will take a hire to the craters as you enjoy the beautiful scenery. After breakfast, depart to ishasha sector, in the afternoon take a game drive in Ishasha Plains in search of tree climbing Lions lazily lying on the fig trees. 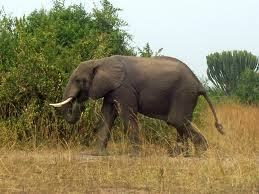 You may also see Leopards, herds of Buffaloes, Elephants, antelopes and lots of savannah birds. After breakfast at visit the nearby river gurgling by and morning birds chirping away, in the distance some animals are moving away. Have another drive through the Ishasha Plains taking another look and last look at the tree climbing lions and the abundance of wildlife found in that part of the park. Later drive back to Kampala and be transferred to the Airport to take your flight back home. This entry was posted in Uganda Tour Packages and tagged chimpanzee tracking, crater lakes, kazinga channel, kyambura gorge, tree climbing lions by Gorillas & East Africa Safaris. Bookmark the permalink.